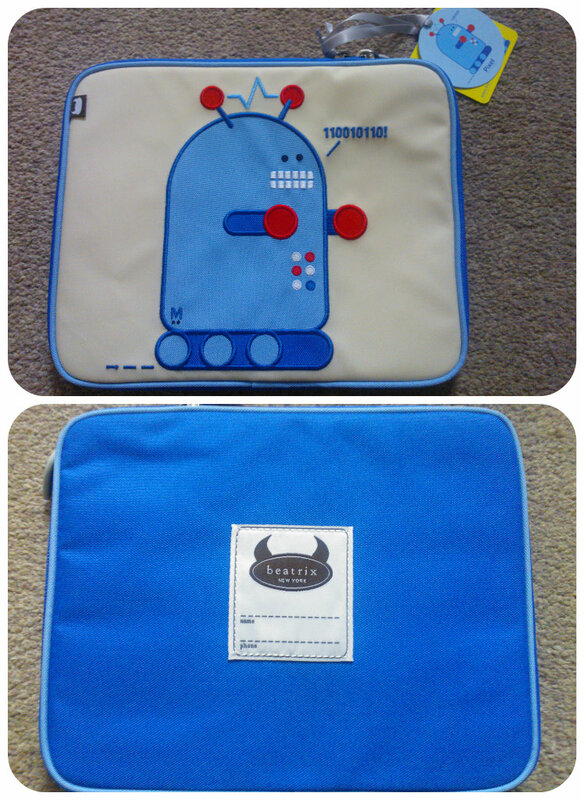 Beatrix New York Cases for tablets have to be one of the cutest range of iPad covers I’ve seen in a while. Aimed at children with their modern range of designs, Beatrix New York covers come with either a Robot, Dinosaur, Owl or Ladybird on the front. We chose the Robot to try with our iPad as it was an appealing design that both daddy and the children would be happy with. The Beatrix New York cases are designed to be compatible with any tablets up to 10.1″ in size. Therefore it makes the ideal companion for the iPad. This case is beautifully made to a really high standard, the quality really shows which is just what you want when looking for something to protect your iPad. The cases are padded with a velvet lining and water resistant protection for kid-proof protection. They are also PVC free, Phthalate free, BPA free, lead free & BPA free so no nasties in there making it perfect for little ones who are venturing into the world of tablets. The design of the case is lovely, it drew the attention of both my children immediately. 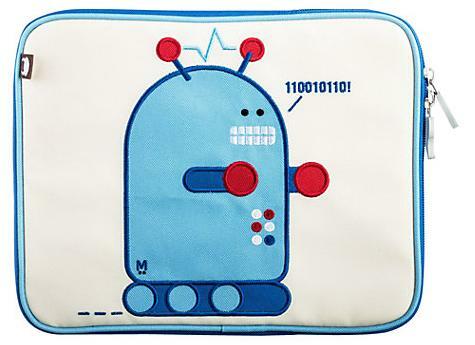 The image of the robot is bold, bright and beautifully embroidered to an exceptional standard. There is even a little name badge on the back so you can add your personal details. The zips have been well thought out with a soft touch, ergonomically friendly, shaped moulding that is easy to grab when opening and closing. We were all amazed at the ultra soft feel inside. Perfect for protecting your iPad and it also made it really easy to slip the iPad in and out of. The whole family love this cover for the iPad and as it’s something primarily used by daddy and the children the design is perfect for them. We all love this and can’t recommend it highly enough in both quality and design aspects. 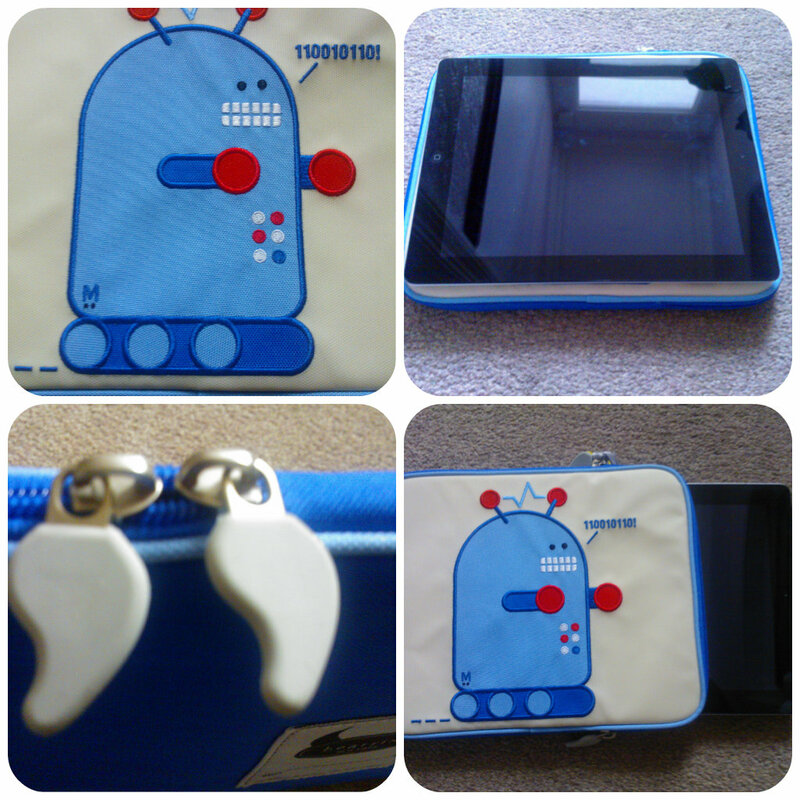 This entry was posted in Reviews and tagged Beatrix, case, child, cover, ipad, john lewis, kids, new york, padded, protective, robot, tablet by Fiona Martin. Bookmark the permalink.